For Batman Day (May 1st), Mezco Toyz has shared previews of two new DC Comics items. 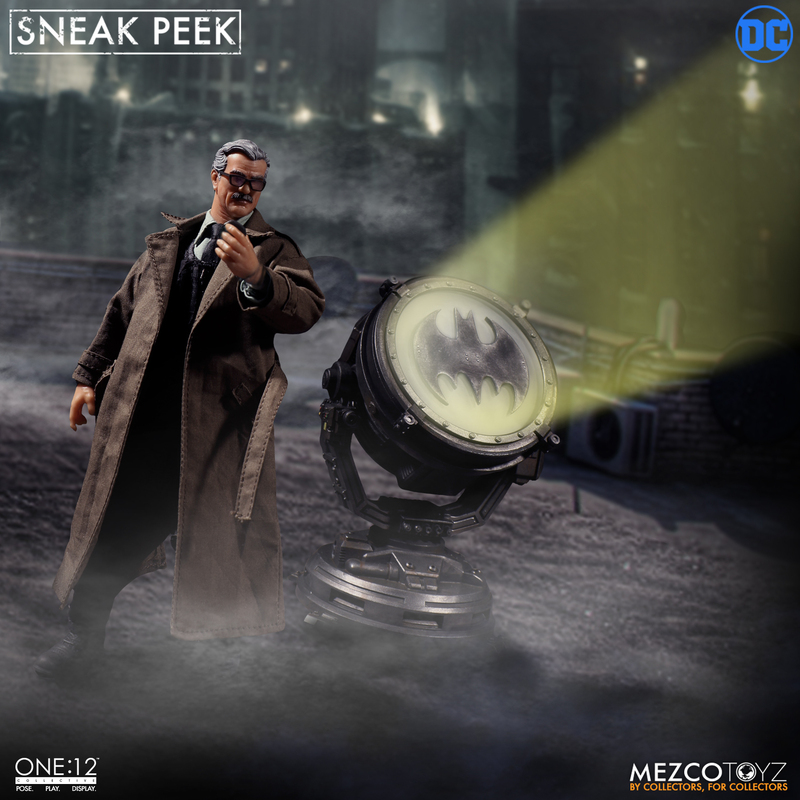 The new previews are for a Commisioner Jim Gordon One:12 Collective Figure, as well as a video preview for an One:12 Collective Batmobile. 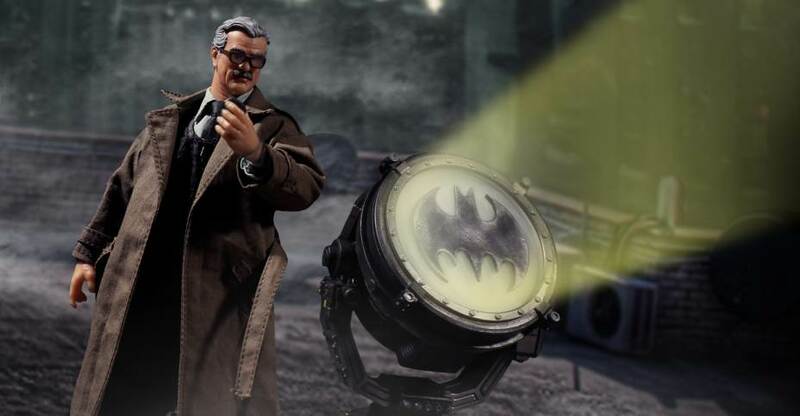 The Commissioner Gordon figure is shown with a Bat Signal. The Batmobile appears to feature functioning headlights. There are not additional details available. We will update with photos and info as they become available. Read on to see the previews. from Mezco's Batman Day Post. This better not be another Batmobile they prototype and never release. It's worse than Hot Toys backing out of the 66 Batmobile at this point. Don't really consider myself a Batman traditionalist, I like the black suit and all that, but I have not been a fan of any of the batmobile designs since the '92 animated series. 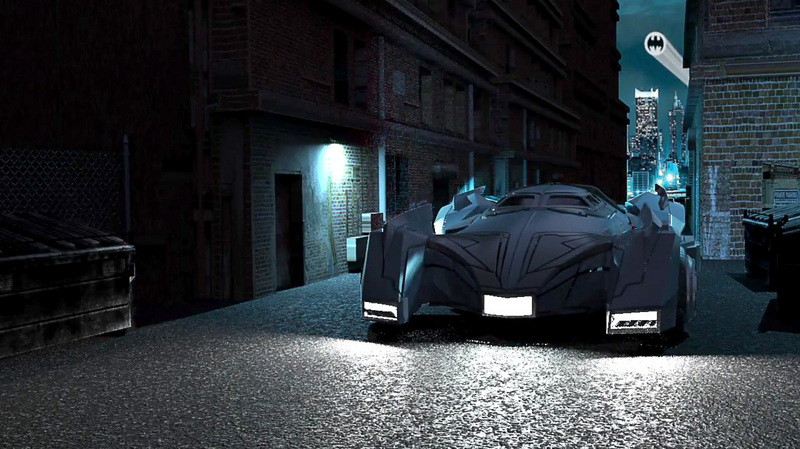 The tumbler in the Nolan trilogy looked cool and was cool but aesthetically not really a batmobile. This seems too similar to the BvS and JL batmobile, which I don't care for. Still, awesome that they're finally doing another vehicle. Think this is their first one since the Lawmaster for Dredd. Guess I'm never getting the Enterprise Captain's chair. Guess I'm never getting the Enterprise Captain's chair. Give us the chair Mezco! Roughly 1:12 (as indicated by the name of the line, One:12 Collective). The Star Trek line seems dead at this point. Quantum Mechanix is so far out in front and it seems every figure but the main Kirk and Spock didn't sell well. I really wanted the chair and Tribbles Kirk. I admit these are very nice looking and I certainly hope we get a batmobile someday. But I'm not too optimistic. Mezco has a tendency to show us a lot and then drag their feet on getting pre-orders up. Plus the only larg scale vehicle was the law master and the only environment piece was the Frankenstein doorway. I'm not sure how well either sold. Add to this the situation with the BvS batmobile and the captains chair and I don't have good feelings about these. If they make it- I'll buy it. Is there any more News on this Awesome Batmobile? Unfortunately, no there isn't nothing news other then this teaser. Don't expect to hear on it for awhile since when it comes to Mezco they show ton of teasers and it'll be a year or 2 until something like this drops which is something to be expected. They'll show this probably at NYCC next year even maybe Toyfair if we're lucky as well since they hinted at a BvS Batmobile which we never got so idk. I hope we do get this and maybe it would be something like the RC Justice League Batmobile? Still hope to see what they do.